She’s more dependable than an alarm clock, loves to go on road trips and is always up for a good power nap. 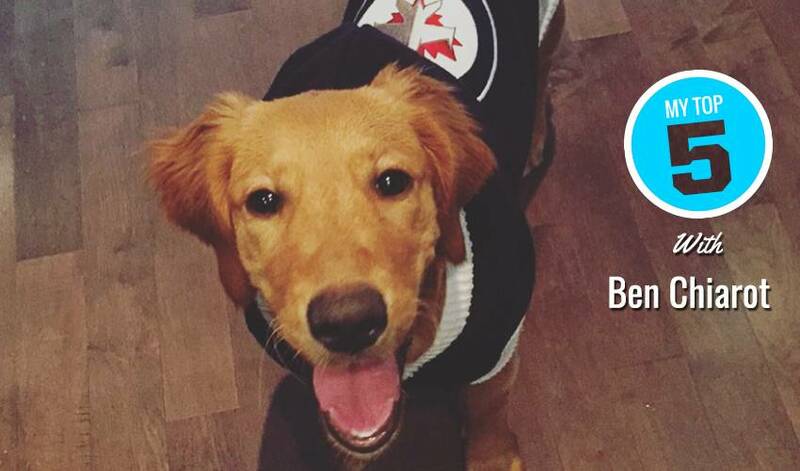 Is it any wonder Ben Chiarot and his wife Jacqueline love spending time with Bailey, their beloved golden retriever? So, what are the best things about having Bailey as a pet? The Winnipeg Jets defenceman offered up five reasons, including what always puts a smile on his face when he gets home from practice. Kyle Connor capped his week with his first NHL career hat trick, while leading the league in goals scored, to help the Jets clinch a postseason berth. The Halifax Mooseheads organization knew they were getting a good one when they drafted the kid from Denmark sixth overall in the 2013 Canadian Hockey League Import Draft. He grew up in Ontario falling in love with outdoor hockey, but it wasn't blue and white on Mark Scheifele's favourite NHL jersey! At the age of three, Kyle Connor was already flashing his hockey skills in front of a crowd. Well, sort of.